JJLock late night listening. Always looking for interesting sounds with an ethno vibe. Favorite track: RADA. outtallectuals one of the most well-rounded experiments in modern ethnic electronic music. bigups! Favorite track: MANA. Nigel Harris Vataff Project meets Dizzy Gillespie meets Benga and Scream. Crazy genre defying stuff. Brilliant! Favorite track: WIND. jamroom Mixing dubstep, jazz, and traditional Balkan folk instruments and sounds, to great effect. 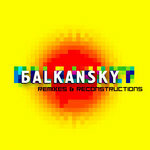 Balkansky have produced a sublime album. Favorite track: MANA. 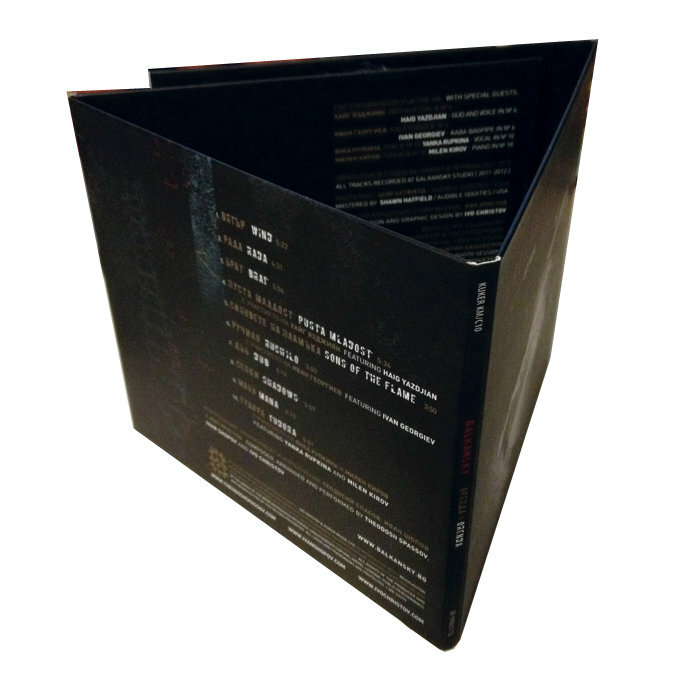 The Orenda album on CD in a 8 panel full color digipak package. Includes unlimited streaming of ORENDA via the free Bandcamp app, plus high-quality download in MP3, FLAC and more. Two years after the debut album "Kuker's" huge success, the creators of БALKANSKY Ivo Christov and Ivan Shopov present their new album "ORENDA". Official co-author of the project is the unique musician and "kaval player of the planet" Theodosii Spassov. In some of the compositions join guest musicians like Yanka Rupkina (vocals), Haig Yazdzhiyan from Armenia (oud), Milen Kirov (piano) and Ivan Georgiev (kaba bagpipe). Vinyl & CD mastering Shawn Hatfield from Audible Oddities Studio. 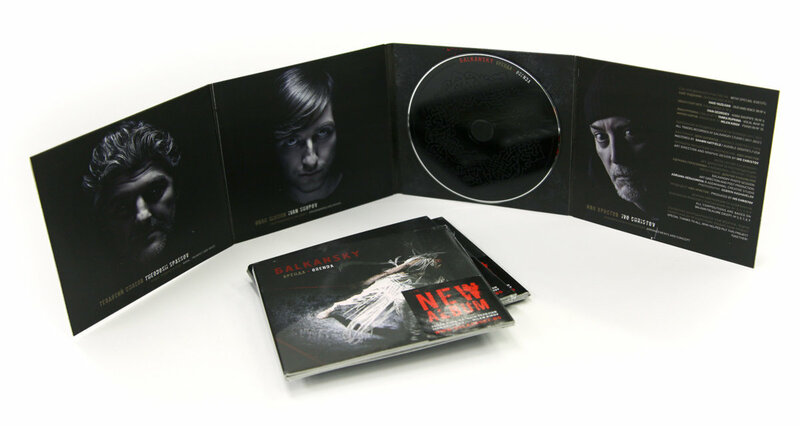 Recorded 2011 - 2012 at БALKANSKY studio. Art direction and graphic design by Ivo Christov. БALKANSKY photo session by Adriana Gerasimova & Dobrin Kashavelov @ addminimal creative studio.